Ella graduated from the University of Toronto with a major in English and minors in French and film studies. Bet she had to read a lot of books along the way. Go get ’em Ella! Felice was the local postmistress in our small town post office of Dunvegan. She got promoted to a larger post office — a stand alone post office! — in Moose Creek, so we threw a little “congratulations” party for her. 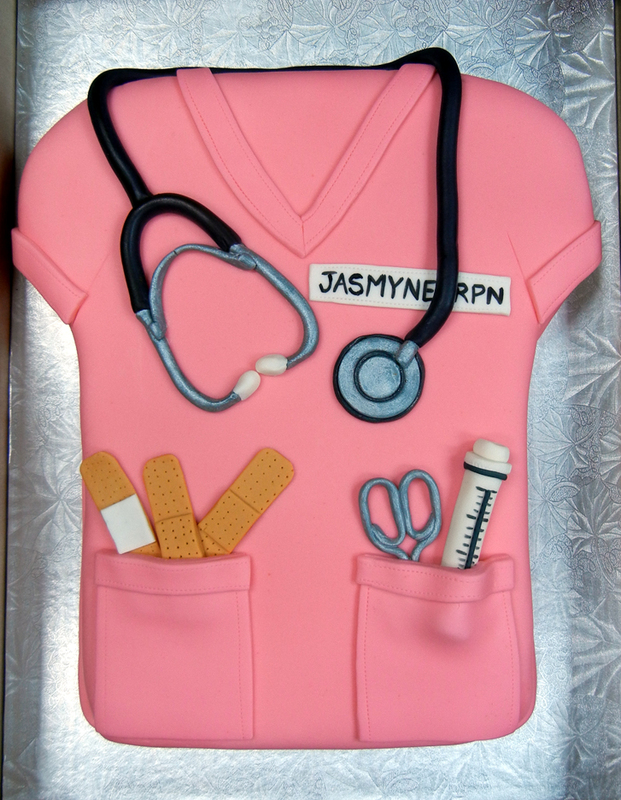 I thought a cake shaped like an envelope would be perfect along with edible fondant stamps. Fun. Congrats were in order for a fellow who graduated onto the Cornwall Police Force. His partner asked if I could make him a cake that looked like the crest worn on the cops’ jackets. And could it feed 40 celebrants. Sure thing! My friend’s son Jacob graduated as an architectural technologist and Jen, his mum wanted to celebrate. She tracked down some of her grandfather’s blueprints — he was an architect — and suggested I incorporate them into a cake. Great idea! They were made into edible icing sheets (printed with edible ink) and added to the cake. I made the pencils and ruler out of fondant. Congrats Jacob. Knock ’em dead out there! An inside joke for a graduating class…not exactly sure why, but apparently the kids repeated this saying all year to each other. I don’t get it but as long as they did! Go get ’em class of 2014. 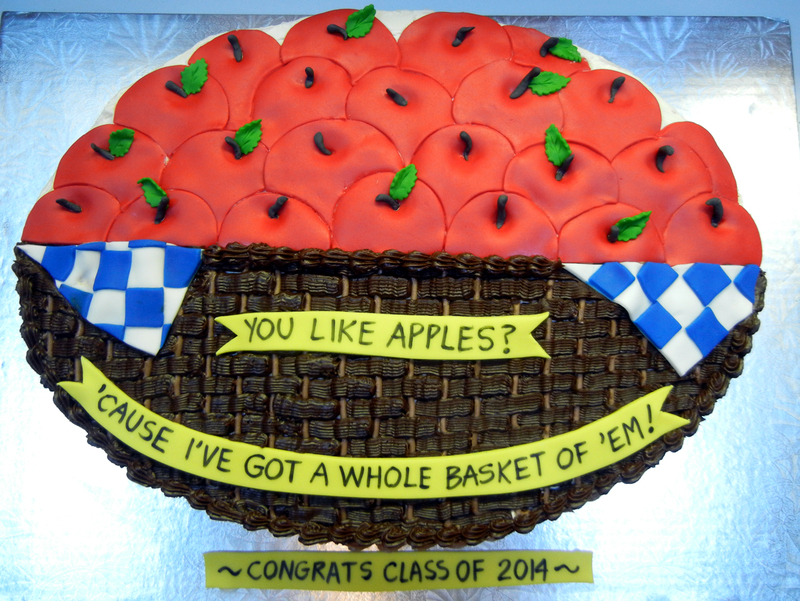 Author ronna2012Posted on July 2, 2014 December 8, 2016 Categories graduation, promotionTags applesLeave a comment on An apple for the teacher?